Seat with separate leg straps for comfort and manoeuvrability. 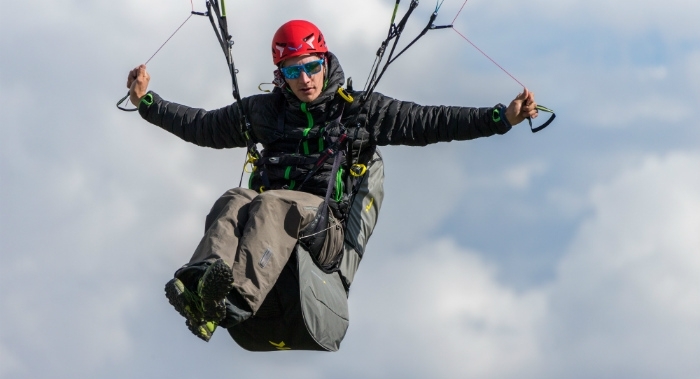 Parachute Ready for a front-mounted rescue (the Front Rescue Container is optional). 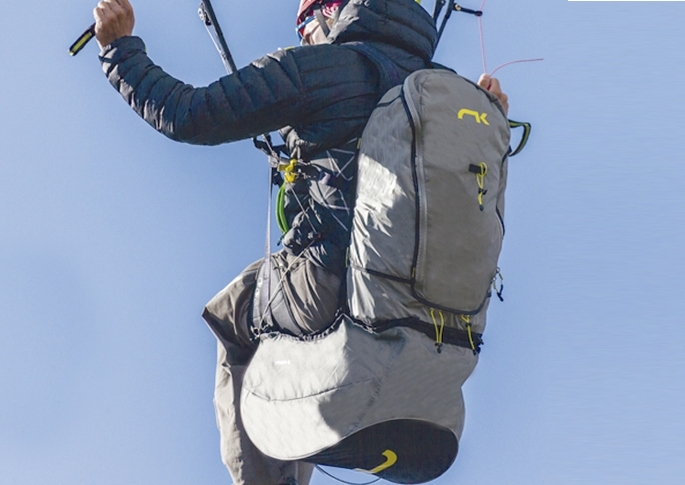 The Roamer 2 not only stands out for its capabilities as a harness, because it is reversible, it also converts into a complete lightweight rucksack for multiple uses. 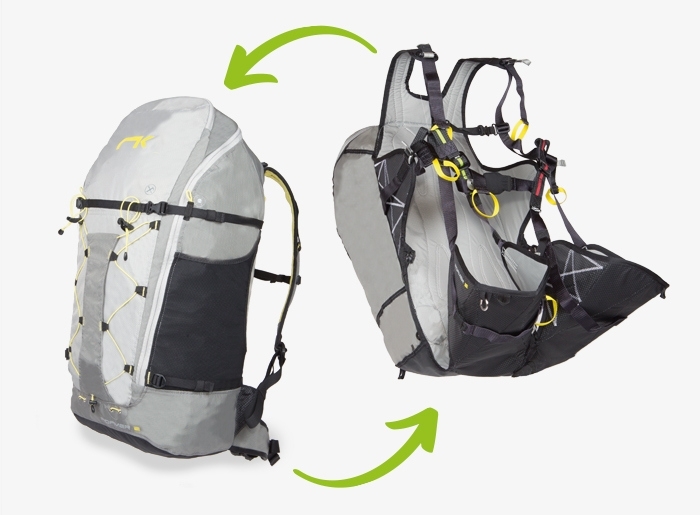 Flybubble note: From our in-house tests and customer harness fitting sessions, the Roamer 2 comes up quite small per size. Size M is more like a UK size S, size L more like UK size M and size XL like a UK size L. A bit like older Woody Valley hanresses used to be before Woody Valley sorted their sizing!